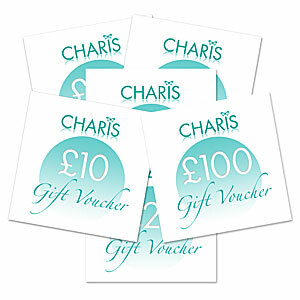 Charis Beauty Gift Vouchers make the ideal present for someone you care about. Our Beauty Gift Vouchers range from £10 to £100, you can buy them to suit the occasion – or for that special person. Use the selector below, to choose a Charis Gift Voucher for someone special today! Pay securely by card via the PayPal system – no account required. You can specify your preferred delivery address during the checkout process and we’ll send the voucher there by First Class post.